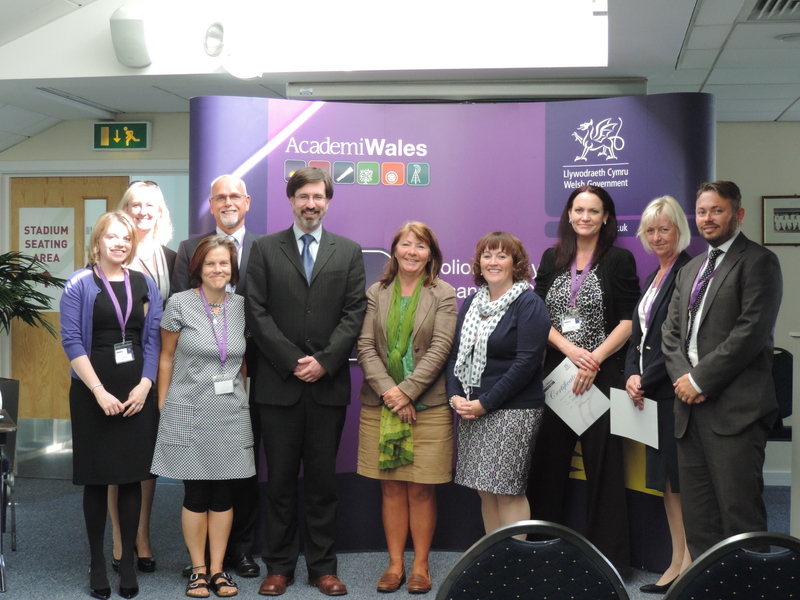 Thank you to Academi Wales for inviting me to give this short talk. It’s great to be in Cardiff again and once again the sun is shining. And what a terrific venue for this celebratory lunch. It really is wonderful to see you all again. You should be really proud of what you have all achieved – seriously, well done! I have been asked to give a short talk on how the partnership was established, how students progressed through the programme and then finish by discussing what happens next. When I started to think about this talk and what I would say one thing came to my mind immediately – that the more things change the more they stay the same. On 19th September it looks increasingly likely that the UK Government will be entering into negotiations with the Scottish Government about the progress of establishing an independent Scotland. This may seem like a revolutionary moment. Yet many things will remain the same. The EU will still exist, the UN, the World Bank and the global money markets. And the Scottish Government and rest of UK Government will continue to operate within this global context. But of course there will be some change. And it is at times of change that I believe the need for good governance becomes even more critical. I feel that Academi Wales have shown great foresight, and indeed courage, in investing in public service workers from across Wales to undertake this programme. And you are very fortunate to have had that opportunity. It was back in July 2012 that I got the first call from Academi Wales that they were interested in sponsoring some students on the programme. Following that a value for money exercise was conducted from which we were, I believe, 3rd out of a possible 90 suppliers. But more than that, Academi Wales felt that our programme, the first of its kind in the UK, was the most contemporary and relevant to public services workers in Wales. So in December that year I came to Cardiff to the Welsh Government offices where we, along with Prof Catherine Farrell from the then University of Glamorgan, jointly discussed and agreed the detailed structure and content of the programme. This was to include four modules: public services governance themes and issues, public finance, leading change and internal communications. These were seen to be most relevant to those working in a post-Williams Review Wales. Then, in April 2013, I came to deliver the two days of module delivery on the first module. On meeting the students I was immediately struck by their enthusiasm and commitment to the programme. That said I can’t say I was surprised, as we’ve always had excellent students on our public services programmes. This is, more than anything, what makes my job so worthwhile. Sharing ideas and practice with experienced and skilled public service workers. It really is an absolute joy. Since then the university have established a new masters level programme in public services leadership. This programme draws on many of the aspects of governance within the PgCert but with a focus on coaching as a form of leadership. It is a collaborative programme with City of Edinburgh Council, Dundee City Council and Orkney Islands Council and we currently have over 50 students on this programme. Unfortunately Academi Wales are no longer in a position to support any bursaries, due to budget cuts, but students should continue to nurture the relationships that were established in this programme and build new relationships with students and graduates from all of our public services programmes. I would like to thank Paula James and Jo Carruthers from Academi Wales, Prof Catherine Farrell from University of South Wales, and my colleagues from QMU for having made this programme work. But most of all I would like to thank you, the former students, for having made this such a positive and fulfilling experience for me. Much of the nature of education is about change. It’s about personal change. About challenging your own assumptions and values. About challenging your practice. You may indeed feel that at the end of this programme you’re a different person. Now you are entering a new beginning. Having successfully completed the programme it is now up to you to implement what you have learned and apply those critical thinking skills to inform your practice: to deliver better governance and delivery of public services in Wales. But I would also like to remind you that some things won’t change. First and foremost you will always be part of the QMU family. This doesn’t just mean that you’ll get mail from time to time asking you to donate to the university. But you will also get mail from me asking for your views on governance and public services. Your views still matter. At the same time I will still be there. I and the other academics from the public services programmes will always be available to continue sharing ideas and learning. That does not stop just because you have graduated. The learning continues. I would encourage you all to maintain and continue to build the relationships that have been built as a result of this programme. Continue to share ideas and learn from each other. Whatever changes the future brings the need for good governance remains constant. As a graduate of this programme you are ideally suited to meet those challenges. I will continue to provide any support I can and will continue to work with Academi Wales and Prof Catherine Farrell as they see fit. I wish you all the very best.